The Sahrawi national resistance movement Polisario was founded in 1973 and fought French and Spanish colonialism alongside Morocco and Algeria. Many Sahrawis fled during the armed conflict between Polisario and Morocco over Western Sahara in the mid seventies, and now live in refugee camps in Tindouf in Algeria. Morocco believes that Western Sahara has historical and cultural links with Morocco, while Polisario claims the right to self-determination in Western Sahara, quoting a 1975 decision made by The International Court of Justice in Haag concerning their right to self-determination after a referendum. Morocco and Polisario could not agree as to who might take part in a referendum so it has never been held. 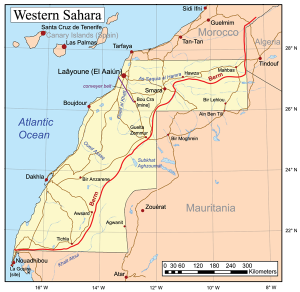 Subsequent to 1975, many Moroccans also live in the southern provinces (Western Sahara). 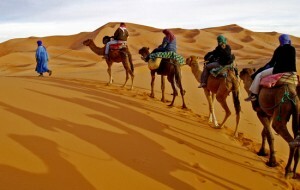 Morocco tried to solve the conflict in 2007 by giving the Sahrawis who still live in refugee camps the opportunity to return as Moroccan citizens with extra resources for education and housing, and offering all Sahrawis in the southern provinces partial self-determination under the kingdom. Algeria controls the refugee camps, and blocked Morocco’s offer because it wants access to the Atlantic coast. Marxists and various other anti-imperialistic solidarity movements support Polisario’s struggle for self-determination and claim that Morocco is now a colonial power. A common argument is to compare the Sahrawis’ struggle with that of the Palestinians. However, this is very misleading because the Palestinians’ main problem – the right to return – would be solved if they received an offer similar to the Sahrawis’. Swedish Sami people have a solution that is similar, and a more relevant comparison, to the one Morocco is offering the Sahrawis. Two nomadic people who inhabit several national states. 1. Why not get involved in the situation of the Sami people in Sweden? 2. Why not help Morocco get rid of the remains of Spanish colonialism in Mellilla and Ceuta? 3. Why not criticise Algeria for blocking Morocco’s offer in 2007? Many of Polisario’s leaders have changed their minds since 2007. As did the legendary Jewish Marxist, Abraham Sefarty, one of Polisario’s founders. He became advisor to King Hassan when he returned to Morocco from exile. There is strong interest in keeping the Western Sahara issue unresolved, because it is being used by the former colonial powers and USrael as a hold over both Algeria and Morocco. They have not yet become involved in the neo-colonial ”Arab Springs”, with rampaging and weakening of existing national states, a prerequisite for the New World Order. Why would the ”left” take part in that? A grossly biased article from June 21, 2014, Western Sahara Criticised for Oil Transports, describes Western Sahara as if it were a country occupied by Morocco with a population ( the Sahrawis) partly banished. 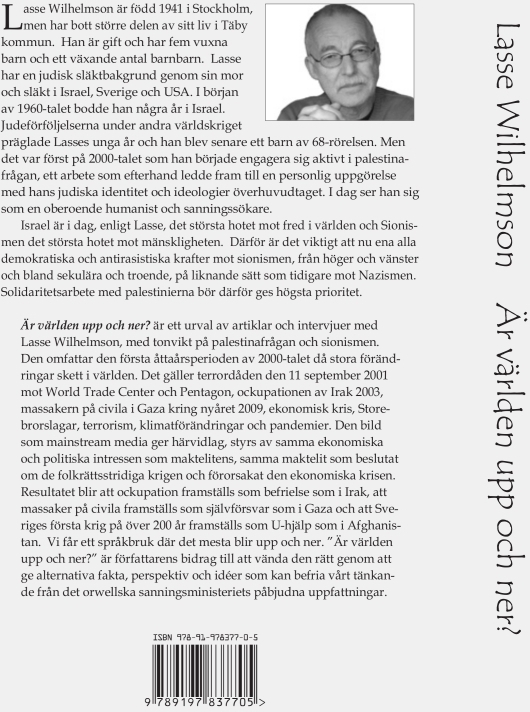 The most spectacular thing about SVT’s (Swedish Broadcasting Company) article is that this view is said to be shared by the UN and the International Court of Justice in Haag. A truce has been in place since 1991 between the Moroccan army and Polisario, the Sahrawis’ liberation movement. The facts of the case are that UN views Western Sahara as a ”non de-colonised territory” (included in the United Nations List of Non-Self-Governing Territories), that both the Sahrawis and the area are historically linked to Morocco, and that the issue of the area’s status should be decided by a referendum. Thus, there is no support from the UN for the article’s description of these facts. Moreover, it should be said that nomadic tribes called Sahrawi have inhabited lands that include several nation states. In this respect they are similar to the Sami people who are scattered mainly around The Cap of the North but nevertheless have no state of their own. But the Sahrawis are different from the Sami because they have ethnic connections with Morocco, while the Sami have their own strong ethnicity. It is easier to argue that the Sami are a people than it is regarding the Sahrawis. Indeed, the fact that a group is seen as a people does not alone give it the legal right to have its own state, but it is entitled to self-determination. Morocco’s offer to the Sahrawis who still live in refugee camps in Algeria, entails returning with full citizen rights, extra resources for housing and education, and partial self-determination. 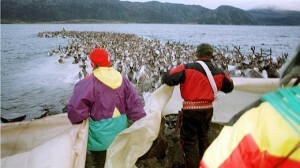 It is a solution that is equally as generous as the one concerning the Nordic Sami. 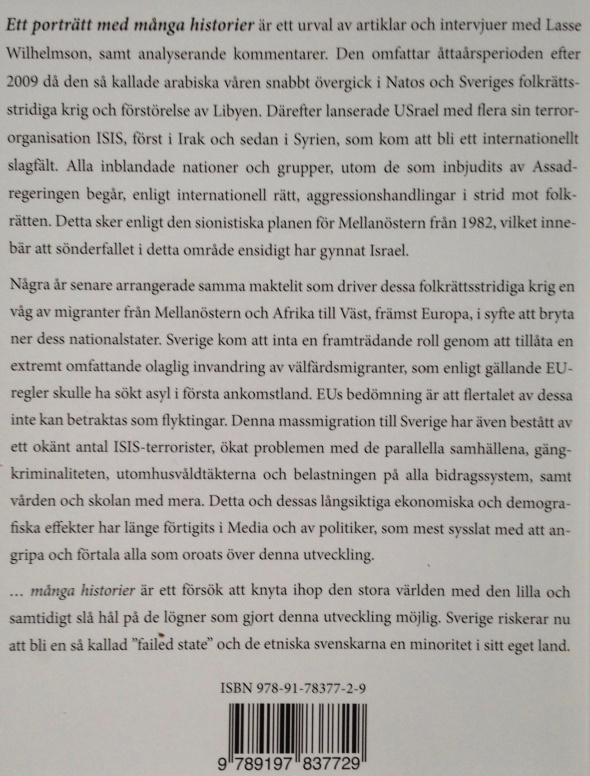 Why are these circumstances kept silent in the Swedish debate and elsewhere?